We are starting the year with a new venue which will hopefully become our new home. The White Post pub has great road links from all areas of the county which we hope make it a much more accessible location. For our first meeting of the year we will be welcoming Lisa Worledge from BCT who will be speaking on '' The state of the UK's bats'. There will also be our usual updates on all aspects of the group's work including our EchoLocation Location project. We survey the purpose made bat hibernacula every January and February as part of the National Bat Monitoring Scheme. This visit is open to members of the bat group only and numbers are limited to avoid disturbance to any bats in the tunnel. Please contact info@nottsbatgroup to book a place. This visit is now fully booked but we will be arranging the February visit soon. An early start to enable us to survey the public caves before the paying public arrive. Spaces are limited to 12 and for members only. If it's over-subscribed then priority will be given to those who haven't been before. The session on the 20th is now fully booked and only one place left for the 13th. After a brief AGM we will look at various bat related issues and topics. More details will be posted nearer the time. This is a biannual event organised by The Bat Conservation Trust. It will be a full day of talks and workshops about many aspects of bat work in our region. Full details and booking information will be available soon. We are helping at The Idle Valley 'Spot it, ID it' event by running a basic bat detector workshop. It's aimed at beginners to the world of bat detecting and will cover all you need to know to use a heterodyne bat detector (The type that cost less than £100 e.g. Magenta 4 or 5). There will be a session in the classroom before (weather permitting) we venture out onto the reserve to look for bats. We are running a bat walk for the National Trust. There will be an indoor talk about bats before we venture out into the park to find some. Please see the projects page and contact the bat group for further information. We will be attending the Skylarks Nature Reserve Festival on Tuesday 25th August for 2.00pm - 8.00pm so come an say hello! Please visit www.nottinghamshirewildlife.org/nature-reserves/skylarks/ for details about the event and reserve. There will be a bat walk around the reserve from 8.00pm. 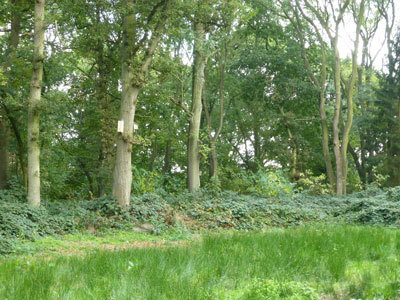 Skylarks is a great place for bats where most of the Nottinghamshire species can be found. Booking is essential so please contact us by email at nottsbatgroup@gmail.com. Please include a contact phone number in case of poor weather. We are part of the National BCT Nathusius' project and trap at various sites in the county. Please see the Nathusius' project page and contact us (details in the project update on the project page) if you are interested. The Nottinghamshire Bat Group will be running a bat walk at Colwick Park on Saturday 27th August at 8.15pm. We should be installing new bat boxes earlier in the day. Booking essential. To book a place/s please email nottsbatgroup@gmail.com. It's free but the numbers are limited. September is the best month to look for bats with a detector. Several reasons but the main one is its dark earlier! Instead of our indoor meeting this month we would like to cover an under recorded part of the county. We've chosen the Collingham, Besthorpe and Girton areas where we have some records but some obvious species missing. It's a very watery place so there should be Daubenton's on the reserve and on the river. Depending on how many people we get we can split up into groups to cover as large an area as possible. There will be reports on our activities this summer include an update on the Echolocation Location, Nathusius' and Barbastelle projects. Join us for an informal get together from 7.00pm onwards at the Canalhouse in Nottingham City Centre. Lots of on street parking (£1 after 6pm) nearby but if you have mobility issues we may be able to arrange parking in the private car park next to the Canalhouse. A session for all of our bat carers and for people who are interested in becoming involved. There will be time to discuss any issues that arose last year and to share experiences. The will also be training on care methods and a look at equipment requirements. For potential new carers it's a great opportunity to learn about what's involved. A brief intro to the bat group and what we do / will be getting up to this season, with a focus on our 'echolocation location' project. An hours presentation on the National Nathusius' Pipistrelle and Barbastelle Projects to put them into context, outline findings to date, etc. A 30 minute presentation on basic bat ID. Training and a practical demo of our some of our bat detectors. Basic training on 'advanced' bat survey techniques (setting up harp traps, mist nets and acoustic lures). A brief update / information for those interested in training to become a Volunteer Bat Roost Visitor for Natural England. Weekend of 7/8/9th April - Following on from the excellent recent Social Calls Workshop hosted by Neil Middleton of BatAbility (http://batability.co.uk/), which reiterated the possibility of locating Nathusius' pipistrelle mating roosts by listening for social calls of this species, and in tandem with our involvement with BCT's National Nathusius' Pipistrelle Project (NNPP) (http://nottsbatgroup.org.uk/nathusius-project/), we will be undertaking an evening transect at a site along the River Trent, along with a pre-dawn back-tracking survey subject to reasonably favourable weather. The site/s will probably be in the area of Colwick Country Park / Holme Pierrepont. Which day/s and further details will be provided nearer the time. Please use our event booking form to express an interest and we will contact you to confirm. For the last year Ben McLean, a member of the bat group, has been surveying some of the trees at Clumber Park and had a good deal of success finding bats. We have been invited to join him on his April survey which last year was his most productive month. No special equipment is needed beyond a small torch (the LED type are the best). The park is likely to be busy that day so it would be good to keep the number of cars as low as possible so please car share if possible. We check the boxes every year here and usually fine lots of bats including noctule and Leisler's. We are usually out until mid afternoon. For insurance reasons this event is limited to members only and there are only a few places available. Please book using our event booking form. Your place isn't confirmed until you receive a reply from us. Our annual event to wake our ears up to hearing bats on a detector. The Holme Pierrepont and Skylarks Nature Reserve areas should give us a good opportunity to find several different species. It's also one of our best areas for Nathusius' pipistrelle with lots of roosting potential. Please express an interest using our event booking form and we will let you know when a location is arranged. early season swarming survey, with a focus on barbastelle bats for the Nottinghamshire Barbastelle Project (http://77.104.132.132/~sunday85/nottsbatgroup.org.uk/barbastelle-project/). Note that the above surveys are dependent on the prevailing Spring weather and may be switched if deemed more appropriate nearer the time (the dates are fixed though). Sat 6th May (with Fri 7th as a 'weather back-up') - Trapping / netting on the NNPP or the Nottinghamshire Barbastelle Project - site and details to be confirmed nearer the time. This introductory bat detector workshop involves an evening classroom session followed by a practical field session starting around dusk. Bat sounds are broken down into four elements in order to train people's sonic memory and aid species identification using a heterodyne bat detector in the field. The focus is on pipistrelles, noctule, serotine and Daubenton's bat as these illustrate a range of different bat sounds. The workshop will be led by Lisa Worledge, Head of Conservation Services at the Bat Conservation Trust . There will also be infromation about how you could help with the National Bat Monitoring Programme and our Echolocation Location project. An introduction to the heterodyne bat detector. This free course which is funded by our Heritage Lottery 'Echolocation Location' project and with help people new to bat detecting get the most from the basic bat detector. There are two parts to the evening. Firstly we will spend some time inside learning how bats use sound to navigate and how we can interpret the sounds coming from the detector. After the indoor session we will venture out onto the nearly RSPB Langford Lowfields Nature Reserve to put the indoor session into practice. A detector will be provided if you need one but please bring a set of headphones with you (ipod/phone type are perfect) as it will help you to concentrate on just your detector rather than those close by. You will also hear far more bats with them! We will be checking the newest scheme of Kent bat boxes. Barbastelle bat radio-tracking. Ideally, this will be undertaken to target this species at a private estate. However, this will be subject to access confirmed nearer the time. In the event that we are unable to complete the surveys here during the above periods then an alternative radio-tracking / advanced bat surveys strategy will be devised and undertaken, which may target barbastelle bats elsewhere, Nathusius' pips, or another uncommon species in the county. The primary aim of any radio-tracking will be to locate roosts and so will not involve as much nocturnal fieldwork as in 2016, although some will still be required. There will also be a requirement for daytime 'roost-finders'. We complete three transects of the reserve twice a year in spring and late summer. Attenborough is one of the best sites in the county for bats and we usually get a range of species. If you would like to help with this survey please book using the event booking form. We need at least six people if we are to do all of the transects including at least three who know the reserve. This training will be delivered by Barry Collins who has many years of professional church survey experience. Please download the Bats in Churches Training 2017 leaflet for more details. This event is for paid up members of the bat group only. Please book using our event booking form. Your place isn't confirmed until you receive a reply from us. Overnight trapping to target female Nathusius’ pipistrelle. Any (up to 2) healthy female Nathusius’ pipistrelle caught would then be radio-tagged and radio-tracked that night to locate the roost(s). Subsequently, they would then be radiotracked by Leics & Rutland Bat Group volunteers the following 1-2 nights, and then mainly by day for up to 10 days with the aim of finding and documenting further roosts, and undertaking roost counts and recording emergence activity. A trapping session as part of our barbastelle project or the National Nathusius' Project. Please ensure that you register your interest in any survey at least 48 hours beforehand by emailing the contact above. Surveys cannot proceed without at least 6 people confirmed as attending, but are also limited to a maximum of 10 people. Please also therefore ensure you give us as much notice as possible if you belatedly have to cancel your attendance. Our indoor meeting since the spring will include updates on our EchoLocation Location project, some results of the summers tracking, a report on one of our bat box schemes and a look forward to future surveys and events. A trapping session as part of the National Nathusius' Project. We will be checking bat boxes beforehand. We have a talk lined up from Phil Bych, Barry Collins, Matt Cook and Ady Orrell about their summer batting trip to Transylvania. They will be talking for 40-45 minutes about Romanian bats and their conservation and what they got up to on their trip in June with plenty of photos and video footage. There will also be an update on the development of the structure of the group amongst any other business - please let Michael know, via nottsbatgroup@gmail.com, if there’s anything you’d like to discuss. For this group meeting, and following the recent get-together there to discuss the above, we’ve opted to try Epperstone Village Hall. It’s located on Gonalston Lane, the last building on the right as you leave Epperstone for Gonalston, postcode NG14 6AY. We’re in the committee room ahead past the kitchen, unless you want to join in puppy training in the main room! 😉 There’s plenty of parking. Incidentally, if anyone has any suggestions for suitable group meeting venues in 2018 then please let us know on or before the 13th. Aside from a decent venue itself the main criteria are: within 20-30 mins of Nott’m, less than £50 to hire (the less expensive the better), lots of parking and preferably it would also be accessible by public transport. Somewhere with a bar and that maybe does bar food is also ideal although not essential. Along with the usual group business we have a talk by Dr David Hill. David, formerly of Sussex Uni and author of a number of bat research papers, developed the Sussex Autobat. Amongst other successful uses the development of this ‘original’ acoustic lure by David (working with Frank Greenaway) was instrumental in us understanding more about our Bechstein’s bat population (via the BCT project) and barbastelle bats. David has also undertaken research in a number of other countries. More info on David's talk will be sent in due course (including confirmation of the venue) but this will be a talk not to miss. Our AGM. We also have a speaker coming to talk to us. For the last two years Ben McLean, a member of the bat group, has been surveying some of the trees at Clumber Park and had a good deal of success finding bats. We have been invited to join him on his April survey which last year was his most productive month. The purpose is to collect more data in some of the current data gaps before our project ends in May. Help NBG to fill in the blanks! No prior knowledge required just bat buddies to Team up and use our Anabats to collect bat data in as many empty tetrads as we can. We will be checking some of the boxes at Clumber Park. We usually find Noctule, Leisler's and Soprano Pipistrelle. Please book using our event booking form, Natasja is leading this survey. We check the boxes every year here and usually find lots of bats including Noctule and Leisler's. We are usually out until mid-afternoon. For insurance reasons this event is limited to members only and there are only a few places available. This event will be lead by Phil Carter. On Friday 1st June we will be undertaking a survey at Attenborough Nature Reserve. You must book on to attend the survey. Please do so by emailing Angelena Efstathiou direct – please be aware that places are limited. Start time will be approximately 20:15 – more details will be sent to those who book on. Barbastelle bat radio-tracking. If you are interested in assisting Matt Cook with some bat radio-tracking from Fri 27 July then please drop him a line via mattcook@hotmail.co.uk . Matt is planning on catching and radio-tagging a barbastelle (possibly two) at Flintham (or possibly near Lowdham), and then radio-tracking her for a week. He is, therefore, looking for teams of 2-3 people to help locate roosts in the afternoon and / or follow the bats at night following their emergence. Previous experience of radio-tracking, particularly of bats, is preferred, but not essential as ‘on-the-job’ training can be provided. An ability to work outdoors and read maps is required though. Please let Matt know as soon as poss if you are able to help with this fascinating fieldwork and more info will be provided in a couple of weeks. On Saturday 11th August we will be undertaking a survey, location to be confirmed. You must book on to attend the survey. Please do so by emailing Angelena Efstathiou direct at nottsbatgirl@gmail.com – please be aware that places are limited. On Friday 17th August we will be undertaking a survey at Attenborough. You must book on to attend the survey. Please do so by emailing Angelena Efstathiou direct at nottsbatgirl@gmail.com – please be aware that places are limited. Start time will be approximately 19:30 – more details will be sent to those who book on. On Sunday 26th August we will be undertaking a survey at Wollaton. You must book on to attend the survey. Please do so by emailing Angelena Efstathiou direct at nottsbatgirl@gmail.com – please be aware that places are limited. Start time will be approximately 19:15 – more details will be sent to those who book on. Our indoor meeting at Epperstone Village Hall, details will be confirmed nearer the time. On Wednesday 5th September we will be undertaking a survey in Colwick. You must book on to attend the survey. Please do so by emailing Angelena Efstathiou direct at nottsbatgirl@gmail.com – please be aware that places are limited. Start time will be approximately 18:50 – more details will be sent to those who book on. The National Bat Conference is the biggest event in the bat calendar and is comprised of a range of exciting talks, workshops and a conference dinner on the Saturday evening. The event is an opportunity to learn about the new discoveries in the world of bat conservation, catchup with old friends and meet new ones. See BCT website for more details. Lindhurst Lake. You must book on to attend the survey. Please do so by emailing Angelena Efstathiou direct at nottsbatgirl@gmail.com – please be aware that places are limited. Start time will be approximately 18:30 – more details will be sent to those who book on. On Sunday 16th September we will be undertaking a survey at Girton. You must book on to attend the survey. Please do so by emailing Angelena Efstathiou direct at nottsbatgirl@gmail.com – please be aware that places are limited. Start time will be approximately 18:15 – more details will be sent to those who book on. On Friday 21th September we will be undertaking a survey in Skylarks. You must book on to attend the survey. Please do so by emailing Angelena Efstathiou direct at nottsbatgirl@gmail.com – please be aware that places are limited. Start time will be approximately 18:05 – more details will be sent to those who book on. On Friday 28th September we will be undertaking a survey at Attenborough. You must book on to attend the survey. Please do so by emailing Angelena Efstathiou direct at nottsbatgirl@gmail.com – please be aware that places are limited. Start time will be approximately 17:50 – more details will be sent to those who book on. On Wednesday 10th October we will be undertaking a survey at Girton. You must book on to attend the survey. Please do so by emailing Angelena Efstathiou direct at nottsbatgirl@gmail.com – please be aware that places are limited. Start time will be approximately 17:20 – more details will be sent to those who book on. On Saturday 13th October we will be undertaking a survey at Rutland Water. You must book on to attend the survey. Please do so by emailing Angelena Efstathiou direct at nottsbatgirl@gmail.com – please be aware that places are limited. Start time will be approximately 17:10 – more details will be sent to those who book on. We are delighted to announce the end of our 3 year Heritage Lottery funded Echolocation Location Project and we are inviting you to the launch of our 'The Bats of Nottinghamshire' book. This is a FREE event but ticketed as numbers in the venue are limited. The event will include a talk on the project, bat themed halloween quiz and raffle. Come and find out more information about the bats of Nottinghamshire and how we managed to record bat records in over 90% of the county! Refreshments can be purchased from the bar and free nibbles will be available during the quiz. We hope you will join us in celebrating! Nottinghamshire Bat Group received £67,300 from the Heritage Lottery Fund (HLF) for an exciting project called ‘EchoLocation Location’. Led by volunteers from the local community, the project focused on identifying the distribution and status of bats within Nottinghamshire to help protect the key habitats and sites which these charismatic but often misunderstood animals rely on. We check the boxes here every year and usually find lots of bats including Noctule and Leisler's. We are usually out until mid-afternoon. For insurance reasons this event is limited to members only and there are only a few places available. This event will be led by Phil Carter. Please book by emailing Phil direct at lyndaandphil@tiscali.co.uk. Fully booked! Your place isn't confirmed until you receive a reply from Phil. We will be checking some of the boxes at Colwick Country Park. For insurance reasons this event is limited to members only and there are only a few places available. Contact wiht Angelena nottsbatgirl@gmail.com to attend . Your place isn't confirmed until you receive a reply from Angelena. We will be checking some of the boxes at Attenborough Nature Reserve. Our indoor meeting details will be confirmed nearer the time. First indoor meeting of the year. Several of our UK bat species visit underground sites late at night in the autumn, often travelling long distances to get there. In a phenomenon known as ‘Autumn Swarming’ this annual spectacle can involve large numbers of bats chasing each other in and around the entrances. What is the reason for this late night party and how do even remote windswept sites in the middle of nowhere have large numbers of bats visiting? Come along and find out more about one of the most magical sights in the bat world. Steve first joined Derbyshire Bat Group when he was 12. He is currently the Group’s vice chair and one of the partner bat group nominated Trustees for BCT. In 2017 he organised the UK’s first autumn swarming conference together with the Vincent Wildlife Trust and the Bat Conservation Trust. Bat box surveys led by Michael Walker at Ploughman Wood. Places are limited to 6 and bat group members only. For insurance reasons this event is limited to members only and there are only a six places available. Your place isn't confirmed until you receive a reply from Michael. For insurance reasons this event is limited to members only and there are only a few places available. Your place isn't confirmed until you receive a reply from John. As places are limited priority will be given to those who have not attended hibernation surveys here before. We also have a speaker coming to talk to us. More details soon. As an additional note, during the AGM, it will be the committee members election. As every year, all committee members step down from their roles and positions are up for election. Some small amendments will be made to the constitution. More details will be provided on the agenda which will be circulated to members via email closer to the event. Bat box survey led by Angelena Efstathiou at Colwick Country Park. Places are limited to 6 bat group members only. For insurance reasons this event is limited to members only and there are only a six places available. Your place isn't confirmed until you receive a reply from John. On Saturday 23rd March we will be undertaking a survey of Yew trees in Clumber Park to find new roosts and check old ones. Provide endoscope training for those who would like to gain experience. Bat walk at Colwick CP on Friday, April 5th in the hope of recording some Nathusius pips. Sunset is at 19.44 and I thought we could meet in the first car park before the barrier at 19.20. Please reply to john.parker@djparker113.plus.com and do not reply to this e-mail address. Bat box survey led by Michael Walker at Ploughman Wood. Places are limited to 6 and bat group members only. Bat box survey led by Phil Carter at Center Parcs on Saturday 13th April starting at 8.45 ready for a 9.00am start. The survey will last until at least 3pm. We check the boxes every year here and usually find lots of bats including Noctule and Leisler's. Places are limited to 7 bat group members only. To book e-mail john.parker@djparker113.plus.com Your place on this event is not confirmed until you receive a reply from us. We have a full day of training day on Bat Roosts in Trees using the Bat Tree Habitat Key led by Tom Bennett of DBCG. A morning workshop followed by an afternoon practical session. To book e-mail parker.john113@gmail.com Your place on this event is not confirmed until you receive a reply from us. On Thursday 25th April we will be undertaking a survey for the National Nathusius Pipistrelle Project (NNPP) at Skylarks Nature Reserve. Bat box check led by Angelena Efstathiou at Colwick Country Park. To book e-mail parker.john113@gmail.com Your place in this event is not confirmed until you receive a reply from us. On Sunday 28th April we will be undertaking a survey for the National Nathusius Pipistrelle Project (NNPP) at Colwick Country Park. On Friday 3rd May we will be undertaking a survey for the National Nathusius Pipistrelle Project (NNPP) at Girton. On Sunday 12Th May we will be undertaking a survey for the National Nathusius Pipistrelle Project (NNPP). We are changing the start time to 7pm - 9pm, as the meetings always end late! Our indoor meeting at Poppy and Pint in W. Bridgford, details will be confirmed nearer the time. We are delighted to announce that for this meeting we will have a guest speaker: Lisa Worledge, BCT Head of Conservation Services who will be talking to us about Evolution of bats and short bit on NBMP. On Sunday 18Th May we will be undertaking a survey for the National Nathusius Pipistrelle Project (NNPP). On Wednesday 22Th May we will be undertaking a survey for the National Nathusius Pipistrelle Project (NNPP). On Friday 24Th May we will be undertaking a survey for the National Nathusius Pipistrelle Project (NNPP). On Saturday 25Th May we will be undertaking a survey for the National Nathusius Pipistrelle Project (NNPP). On Friday 31Th May we will be undertaking a survey for the National Nathusius Pipistrelle Project (NNPP). On Saturday 1st June we will be undertaking a survey for the National Nathusius Pipistrelle Project (NNPP). On Wednesday 5st June we will be undertaking a survey for the National Nathusius Pipistrelle Project (NNPP). We will be meeting at 7.00 / 7.30 pm (time to be confirmed nearer the time) at a pub (location tbc - it will be in the Sherwood Forest area) for a drink and meal with some good old bat chat. We will then we will set off in teams to complete several walked transects in the surrounding area at sunset 21.30 pm for approx. 1.5 hours. The National Bat Conference is the biggest event in the bat calendar and is comprised of a range of exciting talks, workshops and a conference dinner on Saturday evening. The event is an opportunity to learn about the new discoveries in the world of bat conservation, catch up with old friends and meet new ones. Our indoor meeting, details will be confirmed nearer the time.